This is a very easy question for any Roman, who would in fact answer: “all’Acqua Santa!” (“at the holy spring!”). This place has embraced entire generations, attracted by the possibility of drawing fresh water directly at the source, while spending a day out in the open air, in a healthy and relaxing environment immersed in the greenery of Parco dell’Appia Antica – the Appian Way park. It is a tradition that has existed since the early twentieth century, and is alive to this day. 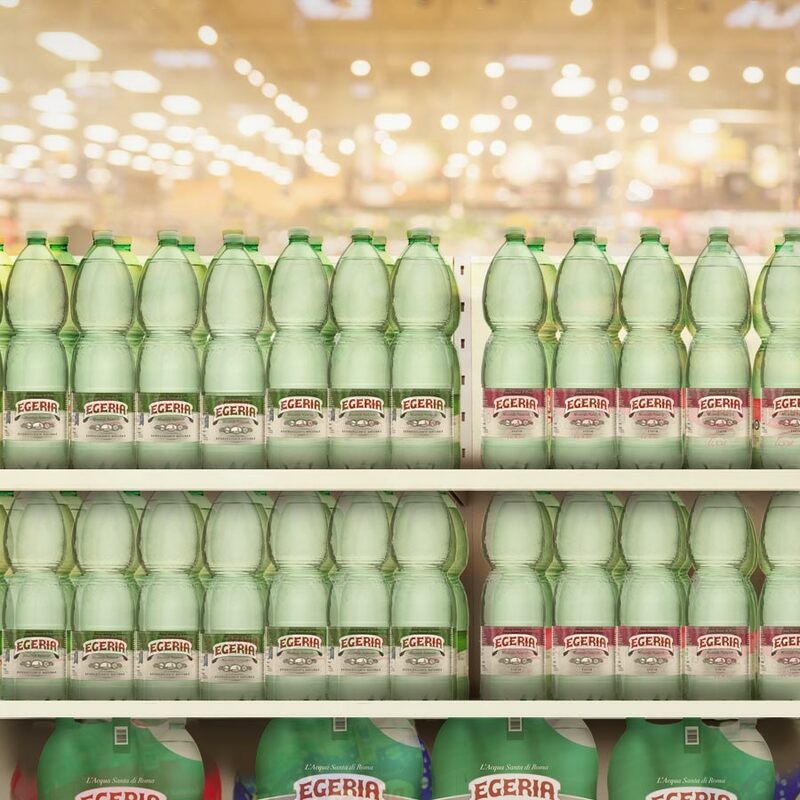 Egeria mineral water is still distributed throughout central Italy as well as abroad. It is easy to find in its glass format at restaurants, as well as being carried by numerous large supermarket chains. It is bottled every day, 24 hours a day, arriving on the consumer’s table as quickly as possible, while maintaining its quality, freshness, and all its unique and precious properties intact. Note: The wine cellar and car park at house number 111 (for the direct, stairless access) close 30 minutes earlier. The car park remains open on Saturdays and Sundays, but is closed on any holidays occurring from Monday to Friday.